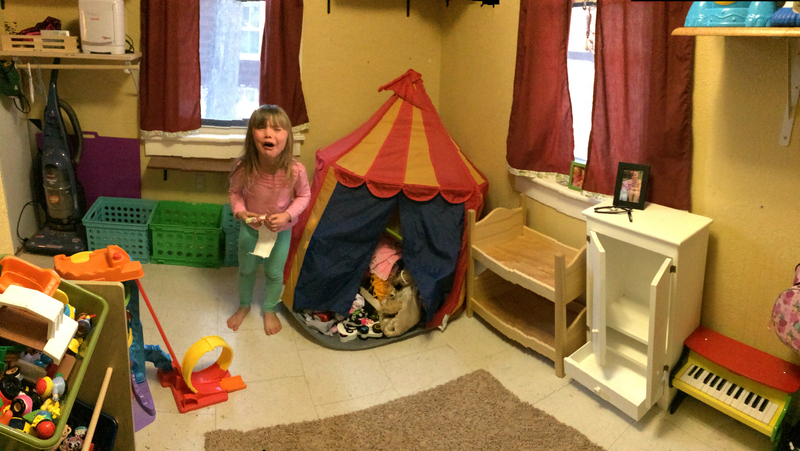 Last Friday, she occupied herself in our playroom all afternoon. I was listening to her from the kitchen as she repeated, “And he stuffed it up the chimney! Loaded his sleigh! He took the Who girl’s and boy’s toys away!” I let her be, and figured I’d find a huge mess when I eventually went to check on her. Nope. This is what I found. Five shelves and three tote bins worth of toys, an entire closet of doll clothes, all the barbies and their accessories, all the dress up stuff, all the cars and dinosaurs, six doll houses, and much much more- GONE, as if the Grinch really had visited. Only he didn’t come with a sleigh. 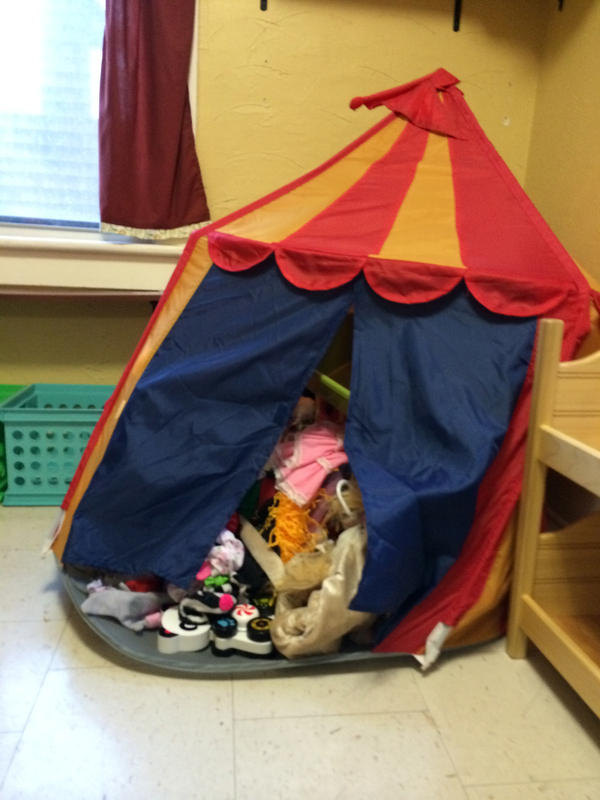 He stuffed everything “up the chimney” into our little circus tent in the corner. It was bursting at it’s seams. And “The Grinch” was Maple. She excitedly explained her game to me, and I laughed with her as she told her story. We were headed out of town that afternoon, so I told her that cleaning it could wait until Monday. Monday came, and this is how my little Grinch-y-poo felt about putting back all of the Who’s things.